Lori Burnam of Hamilton, Montana — a much-loved and admired champion of medical marijuana patients’ rights — has died. 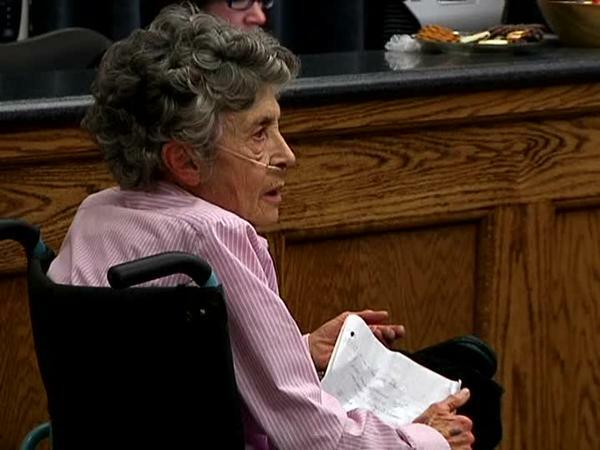 But the principles she stood for and the goals she worked for will not be forgotten or neglected, according to Chris Lindsey, president of Montana Next, a marijuana education group. 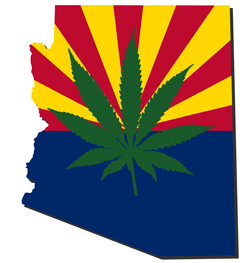 In a poll conducted January 9 and 10, Public Policy Polling found that 59 percent of Arizonans support the Arizona Medical Marijuana Act, and also 59 percent would vote “yes” on a future initiative to legalize and regulate marijuana in a manner similar to alcohol. The poll of 600 Arizona voters was commissioned by the National Cannabis Industry Association. You can view the results by clicking here [PDF]. Despite multiple delays caused by governmental inaction and meritless lawsuits, the strictly controlled nonprofit medical marijuana dispensaries mandated by 2010’s Proposition 203 are beginning to operate. I walked up the stairs, eager with anticipation, as the wonderful reality of what I was about to do sent happy shivers up my spine. This was my second time going up these stairs, but I was just as eager as my first. I took my last, deep, breath of fresh air and walked through the door into the bar. My nose was immediately assaulted by the rancid smell of tobacco smoke, but I knew I wouldn’t have to deal with that for much longer. After ordering drinks, and receiving my new membership card, I sat down at a table directly under a vent, to get away from the tobacco smell. I then loaded the biggest bowl of banana kush I could fit into my pipe. 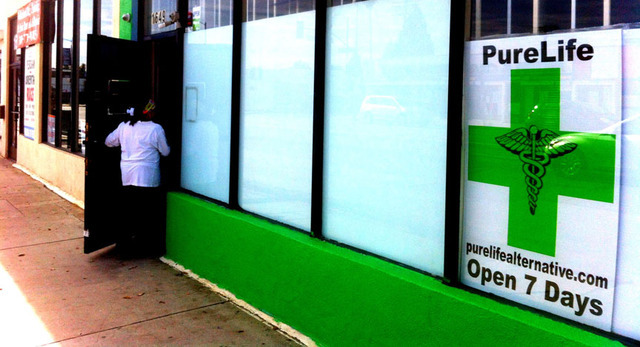 Road Trip: In Search of Good Medicine – Pure Life, West L.A.
On the heels of continued raids by the DEA of four legally run dispensaries in Los Angeles, West L.A. dispensary owner Yamileth Bolanos is pretty much at the end of her Hemp rope, so to speak. Bolanos, who is founder and owner of Pure Life Wellness, has been at the forefront of cannabis activism in the city of Los Angeles, where recently dispensaries were threatened with closure by city officials. With the creation of GLACA, the “Greater Los Angeles Cannabis Alliance,” Bolanos, with other longtime dispensary owners, banded together to create their own entity in order to deal with the powers that be, driven by the philosophy that “strength in numbers” matter. Let’s start that serious national conversation about marijuana! Seventy-five years late is better than never. Why now? 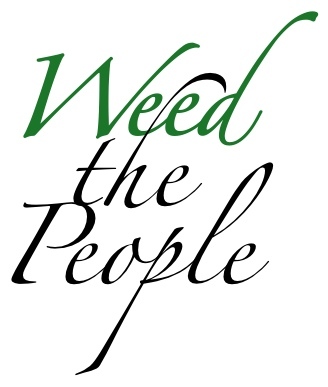 Because marijuana legalization support is growing and is more popular by several points then any politician in the country! This new marijuana majority has the momentum, the votes and the moral high ground; if you support prohibition you are showing your age and your lack of medical science knowledge and you shouldn’t be in office making decisions that affect young people 18-34 who are the new face of America. This new marijuana spring just gave birth to legalization. 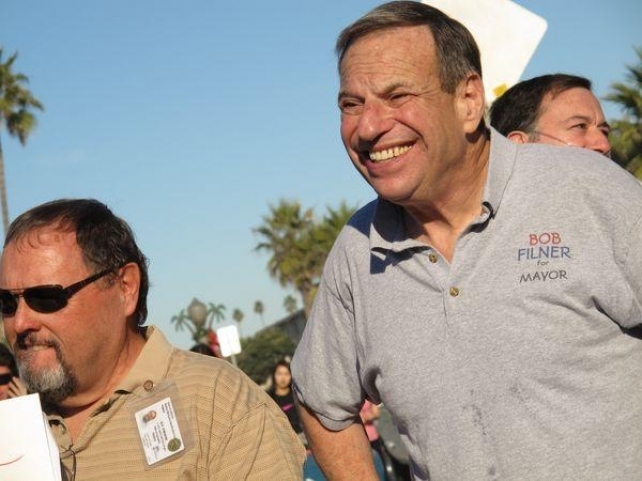 Advocates applauded the recent actions of San Diego Mayor Bob Filner in trying to put an end to the years-long crackdown on access to medical marijuana in the city. Two days after announcing at a local chapter meeting of Americans for Safe Access (ASA) — the country’s largest medical marijuana grassroots advocacy group — that he was going to direct city authorities to stop shutting down dispensaries, Mayor Filner delivered on that promise by sending letters yesterday to San Diego Police Chief William Lansdowne and Neighborhood Code Compliance Director Kelly Broughton. In 2010, Mothers Against Drunk Driving (MADD) was one of the most vocal and powerful voices opposed to Proposition 19, the failed ballot effort in California which would of legalized cannabis. In 2011, MADD furthered this misplaced opposition by partnering with the ONDCP (Office of National Drug Control Policy, headed by our nation’s Drug Czar) in a nationally coordinated effort to combat “drugged driving.” In other words; joining forces to oppose efforts to reform our failed cannabis policies, working towards unscientific per se driving laws, and continuing to spread the same misinformation the ONDCP has become famous for. In taking this approach, MADD is counteracting their own agenda. By working to defeat the legalization of cannabis, they’re directly responsible for fatalities that could of otherwise been avoided. In the interest of entertaining you and provoking a discussion, please enjoy “420: A Comic About Weed,” brought to you courtesy of cartoonist Greg Farrell. 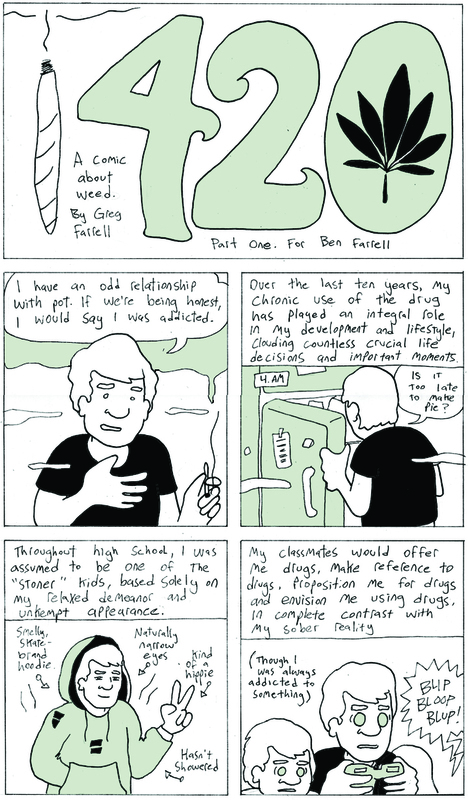 In “420,” Farrell creates an autobiographical comic detailing his life on weed. What No Excuses Entertainment is calling the first-ever nationwide cannabis education tour and signature drive will start March 8 in Nederland, Colorado. The 2013 Cannabis Education Signature Drive, as it’s being called, will kick off at Frozen Dead Guy Days in Nederland, held March 8 through 10. 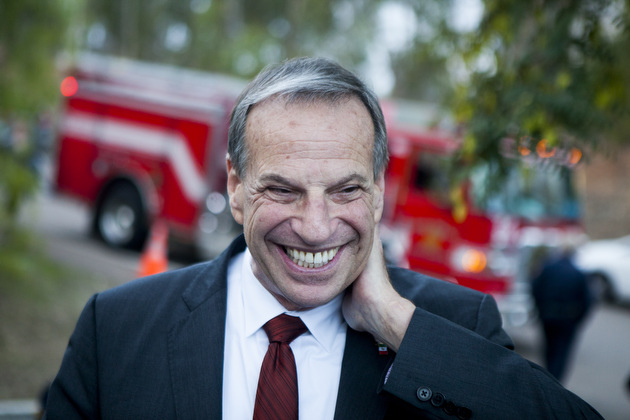 San Diego Mayor Bob Filner has ordered an end to that city’s crackdown on medical marijuana dispensaries. The mayor’s order decrees an immediate stop to the city’s practice of filing code-enforcement violations against the collectives. Acting on City Attorney Jan Goldsmith’s advice, the mayor sent a letter [PDF] to Kelly Broughton, director of San Diego’s Development Services Department, reports Dave Maass at San Diego CityBeat.